I like to picture people. Mummy pictures me a lot so when I find her camera or Lalotte's camera I try to picture things with it. 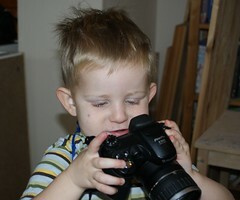 Maybe when I am bigger mummy will let me have a camera too. Bits likes to look at photos, so once I get my own camera, I will picture things for her.